We don’t all have big video budgets. Boohoo! Seriously, boohoo. In a perfect world all nonprofits would have unlimited marketing budgets, and the opportunity to broadcast the good work they do. Sadly, we don’t live in a perfect world…we live in a “let’s make it work” kind of world. So, let’s make it work! Here are some ideas for videos that you can do for free, or very inexpensively. 3. If you don’t have the time or skill, use an inexpensive resource. I had this video made using a contractor from the website Fivver. It cost me $5! Take-away: Great video is great, but good video is better than no video. Make a video for your nonprofit today. Keep it short, keep it simple, and don’t forget your call to action. Share what you do here! For many nonprofits the annual gala is the biggest fundraiser of the year. I have been to many gala’s and each one seems a remake of the last, but every now and then one stands out from the crowd. What makes some gala’s worth more than others? And what makes some more memorable than others? The difference is always in the details, and some of those details are fairly easy to implement. 1. Show Me the Way– There is nothing more frustrating than paying a lot of money for a ticket to an event and then not being able to find your seat. Have volunteers greet guests and show them to their table. It is an easy way to start the evening off right. During the trip to the table volunteers can share why you are there, what you are planning to do with the funds raised, and how successful you have been with prior years monies. 2. Breeze On By– Create a simple check-in and check out process for your silent auction. Insure that you have enough volunteers to man both stations. You certainly don’t want guests waiting in a long line to check out during the best part of the event or right before they leave the event. Pre-register guest so that they can be charged while they are at the event without having to wait in line. Then have them simply pick up any winnings on the way out. Photo Booths are a fun way to make a gala event memeorable. 3. Make It Fun– Do something fun and memorable. 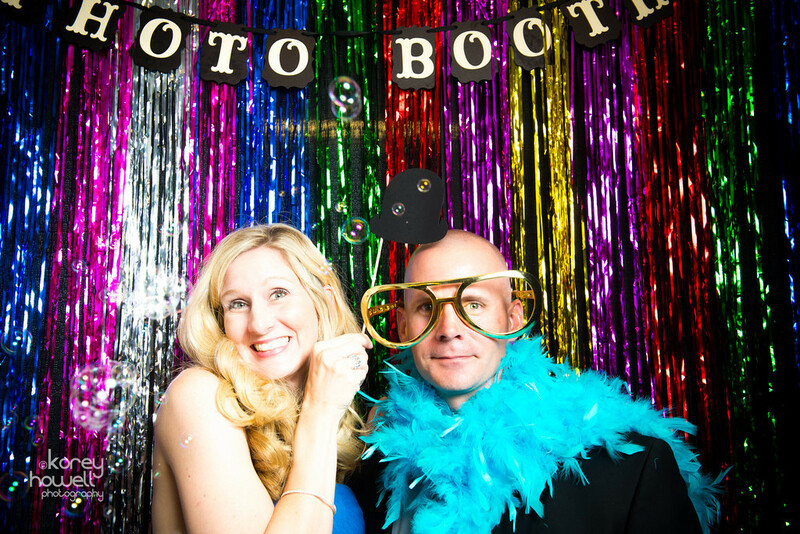 Photo booths are popular right now and they are a great example of adding fun to an event. 5. Follow-up– I once had the donor of an auction item ask me for a receipt when I picked up the item. Of course, I happily gave it, but I mentioned that after the event everyone would be mailed a receipt. She kindly replied that everyone told her that, but almost no one ever delivered them. Be sure and send hand-written thank-you notes and receipts. Take-away: What are you doing to make your gala an A+ event? Galas are very time intensive events, if your organization is making an investment in hosting one, make sure you make it worth it. Today, I had the great pleasure of speaking at the Utah Society of Fundraiser’s in Salt Lake City. A flight delay and a few travel hick-ups later we had an amazing session. As we all know, the best tips and advice don’t come from “experts”… they come from those that are doing the campaigns day in and day out. I have taken the liberty of compiling my top learnings from the professionals at today’s session. They are not all about year-end fund-raising, but they do all tie together because as we all know the success of our year-end campaign ties very closely to the success of our program. 1. CRM. The ability to analyze, mine, and share data is so important. I know it is a challenge to get everyone on the same page, but the benefits of one database far outweigh the challenges of implementation. 2. Tell a great story. Really work on solidifying your story. Think about what happens when your nonprofit ceases to exist. Do people die, do people starve, do people lose their jobs due to lack of education??? Share the realities of your story. 3. Share your impact. Hand in hand with the reality of your organization is the impact you are making. Is it that 85% of the children in your program find good homes, is it that your organization has provided 2000 free nights of hospice care, or is it that you have provided 27 scholarships to single moms? No matter the impact share what you are doing in a meaningful way. As promised, here are the slides I shared during our class. Take-away: Don’t let this year’s campaign season pass you by. Get out there and start sharing your story and raising some funds for your cause.